I just let the download run overnight. Has anyone else noticed that the download from pinkcore's server is hideously slow? I'm talking about 2.1 - 2.3 kb/sec! Don't know what to tell ya...I'm averaging 21.7kB/sec right now. Does anyone know which codec I need to play the Best of British video and where I can get it? My Windows Media 9 player plays the audio but not the video. It works perfectly now! Thank you. Here's a link to the list of in-car stuff I've done at various trackdays over the years. Mostly in the S1 Sport 160 I used to have, no Exige videos yet. If he wasn't intending to go through that gate backwarks where was he trying to go? I'm saying 70/30 luck to skill ratio. Last edited by mattdaniels; 01-26-2004 at 04:55 AM. Unreal!!! That Camera man is luckey he didn't get run over!!!! Great Video, Ahh Monza gotta love that track. It just shows a great driver in an Elise can hang with just about anything even an F40!!!!! Anyway, please feel free to check it out and leave comments, or even ask questions. We're a very friendly bunch in Asia. 2007 Lotus Exige S Aspen White with LSD, Traction Control, Komo-Tec Phase 2 280bhp and SJR Titanium Exhaust. I merged your elise video link to our sticky on elise vids to make it easy for everyone to find. No problem. Hope you guys find them useful. Alot of real owners on the forum there too and people in warmer climates will find them far more experienced with problems etc than on SELOC. I found a decent video on an S2000 site. I'm cross-shopping the S2000. Anyway, go to this site and download the video S2000 vs. Exige at Imola. There are a couple of Elises in the video too....although they get passed rather easily. I've got a few in-car laps plus some longer montages up on my website. Short Elise (111s?) and Esprit lapping at Hethel from Autocar. 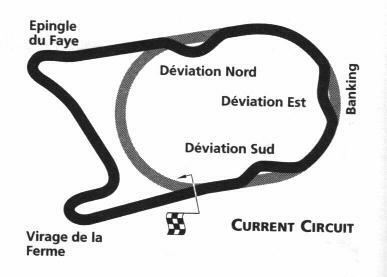 It's not Monza (the banking there has been out of use for a very long time) it's Montlhery in France. Your right!! With that old banking I thought it was Monza. Didn't realize there was another track in Euope with banking like Monza's. Unfortunately, not the 190hp Elise.